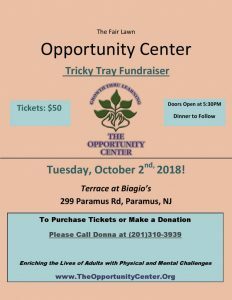 Our 2018 Tricky Tray will be held on Tuesday, October 2nd! 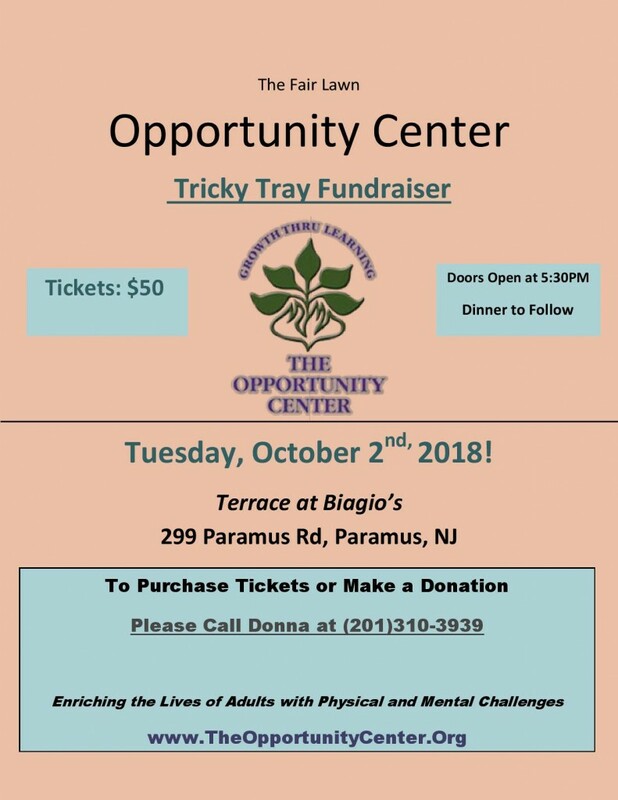 Once again, it will be held at the Terrace at Biagio’s in Paramus. 293, Paramus Rd, Paramus, NJ. Tickets are on sale now so don’t hesitate to call Donna Spallina at 201-310-3939 right away! Hope to see you all there! If you would like to join the many members of our local community who support our efforts, we would love to hear from you. We welcome your support in any capacity. Donate your time, equipment or supplies or money or contact us to learn more by calling 201-791-4040 or filling out the form below. (The Opportunity Center will never sell, trade or give away your contact info without your permission).